On a warm Sunday afternoon in Hamden, the bats were cold for the Quinnipiac softball team (13-26, 4-6 MAAC), as they lost both games of a doubleheader against MAAC foe Siena (12-16, 5-3 MAAC). Siena won the first game 4-2, then finished off the sweep with a 7-1 win in game two. In game one, the Saints jumped out to a three-run lead in the top of the second off Bobcats starter Lauren King. Senior Jessika Jaime drove in Neysa Ouellette for the first run of the game, and after the next two batters reached base, senior Madysen Cossack hit a two-run single to give Siena a three-run lead. Siena added a fourth run in the top of the third, and Saints starter Brooke Hughes kept that four-run lead intact by shutting down the Bobcat offense for most of the game. After accumulating three hits in the first three innings, Quinnipiac was held hitless until the seventh. During that stretch, Hughes was stellar on the mound, retiring 11 straight Bobcats. Quinnipiac didn’t go away quietly though, as they scratched two runs across in the bottom of the seventh and had the tying run at the plate with two outs. The Bobcats knocked Hughes out of the game, as the Saints turned to Maddie McMahon to close things out. McMahon faced one batter, Jen Fay, who lined out to second base, sealing the game one victory for Siena. Game two offered much of the same for the Quinnipiac offense. The Bobcats collected just four hits in the contest and were unable to help starter Kendall Brundrett. Siena started its scoring in game two with back-to-back home runs off Brundrett in the top of the third. Madysen Cossack and Lauren Sabihon each hit solo shots to give Siena a 2-0 lead. 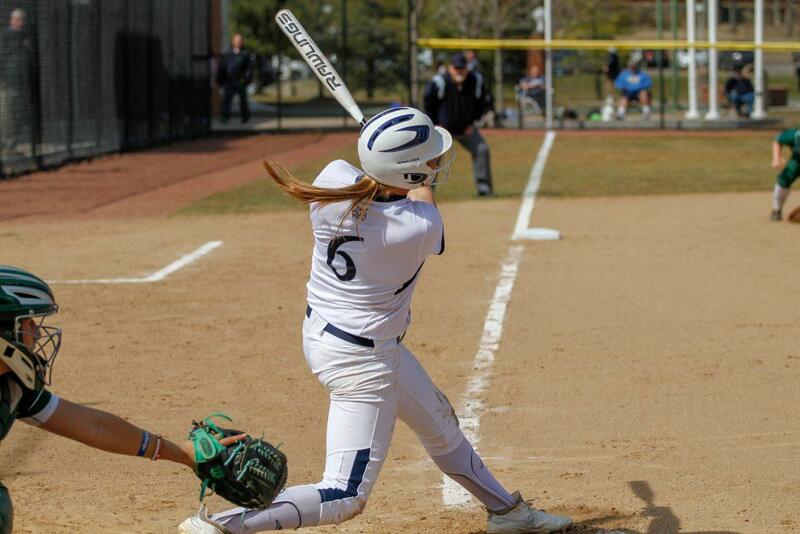 Quinnipiac answered in the bottom of the fourth, when Erin Larsen doubled and Alexis Otero drove her in. Otero was left stranded on second however, and Siena led 2-1 through four innings. The Bobcats offense then flatlined in the final three innings, as they were able to get just one more hit off of Siena starter Maddie McMahon. Siena added a run in the top of the sixth, then put the nail in the coffin in the top of the seventh. The Saints put across four runs in their final at-bats, with the dagger coming from Neysa Ouellette, who hit a three-run home run off of Brundrett to bring Siena’s lead to 7-1. McMahon, who closed out game one, sat the Bobcats down 1-2-3 in the bottom of the seventh to seal both her complete game shutout and the sweep for the Saints. Quinnipiac now has three days of rest before hosting two more MAAC doubleheaders in Hamden. Marist comes to town on Thursday and Rider visits to play two on Saturday.